Destiny fans that are looking forward to the launch of the Destiny House of Wolves expansion from Bungie on May 19th 2015, may be interested to learn that more details have been released this week for the games developer. 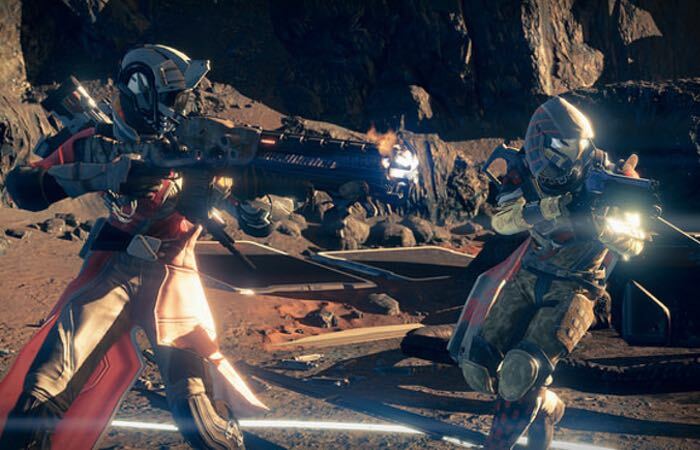 The Destiny House of Wolves expansion bring s with it 3 new Crucible maps together with an exclusive fourth map for PlayStation 4 and PlayStation 3 owners to enjoy. “PS4 and PS3 owners will get Timekeeper, a close-quarters battleground set inside a mysterious Vex device amidst the arid dunes of Mars. Black Shield is a medium-sized map set on Phobos. Thieves’ Den is an intimate arena set in the tunnels under Venus. Widow’s Court takes the fight to Earth’s European Dead Zone, a striking thematic departure for Destiny — expect crumbling gothic spires, stained glass, and overgrown plant life. Across the board, Bungie is laser focused on making Crucible matches more rewarding. You’ll earn double the engrams and marks in Crucible matches, as well as guaranteed rewards for participating in the daily featured game. Not bad! Then there’s Trials of Osiris, a new weekly event designed to captivate high-level Crucible players with new challenges and exclusive payouts. The pitch: you gather your best gear and two friends to take on a punishing 3v3 Elimination challenge. The Trials of Osiris challenge opens up each Friday and closes each Sunday. For more information on the new Destiny House of Wolves expansion jump over to the PS Blog website for details via the link below.